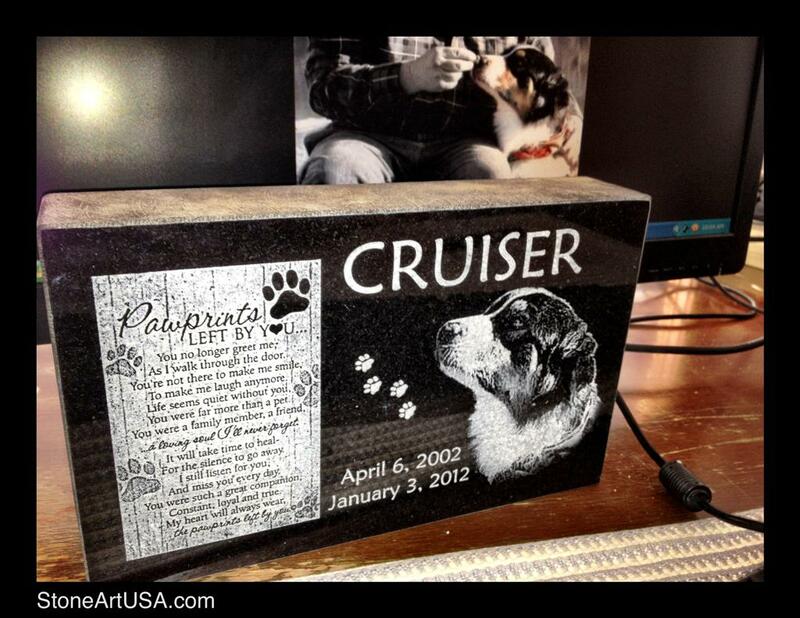 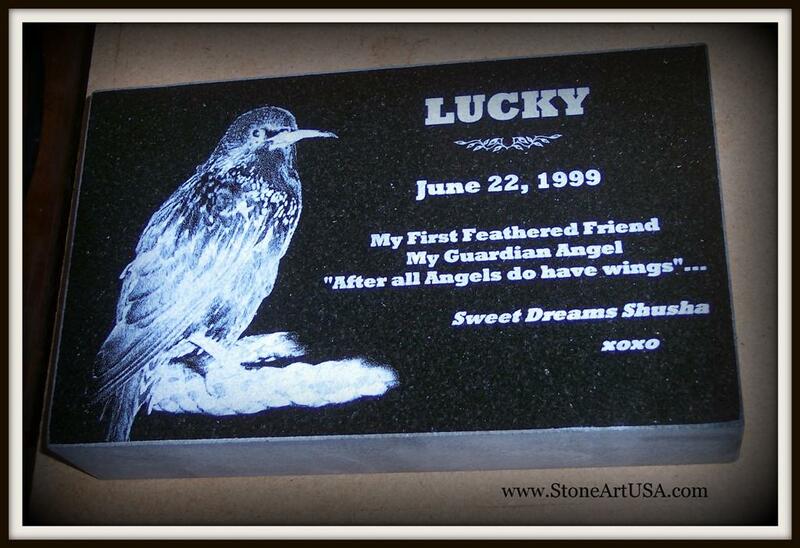 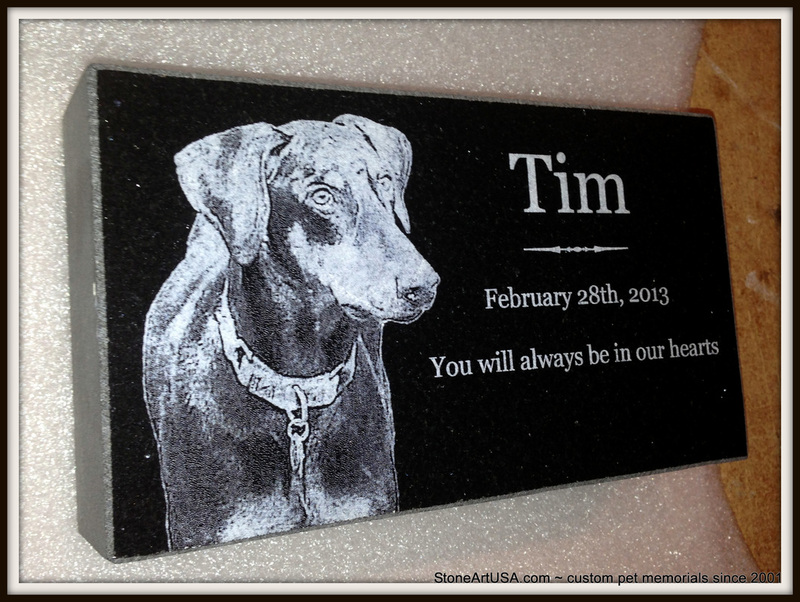 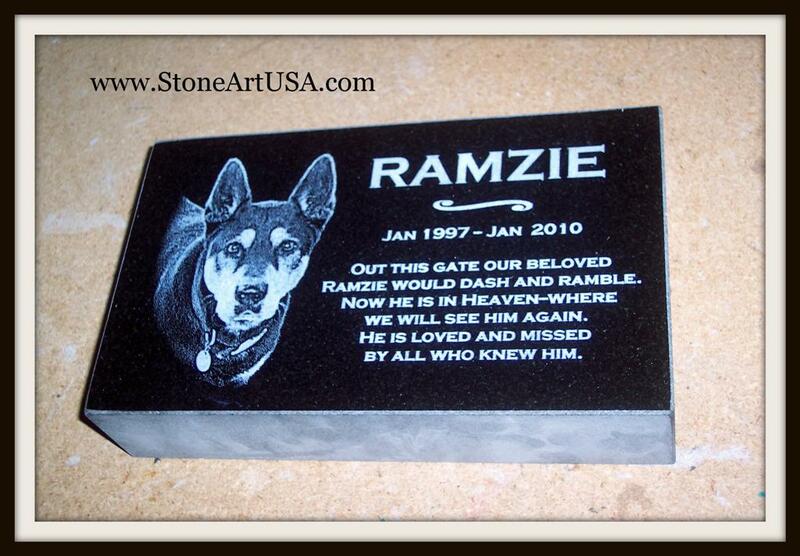 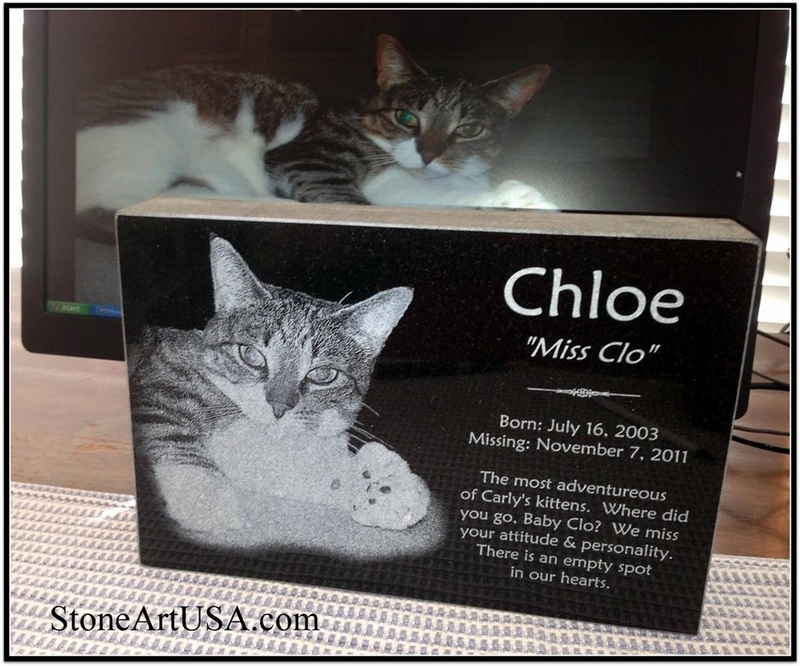 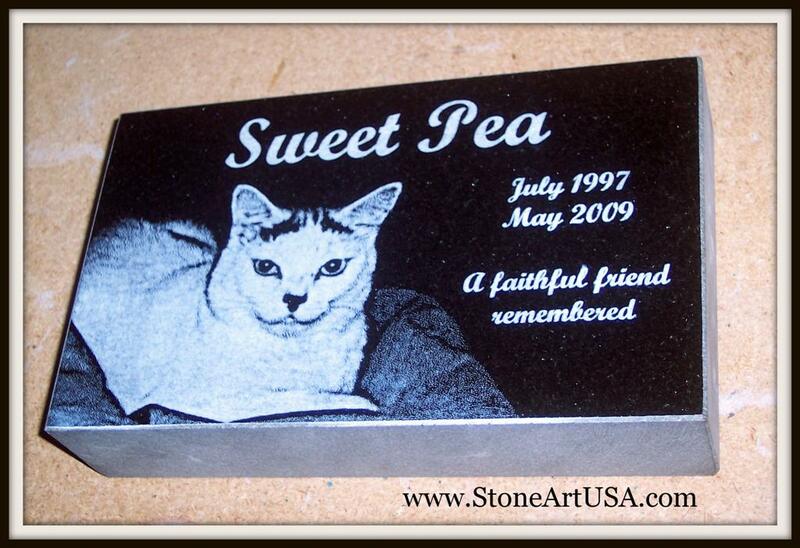 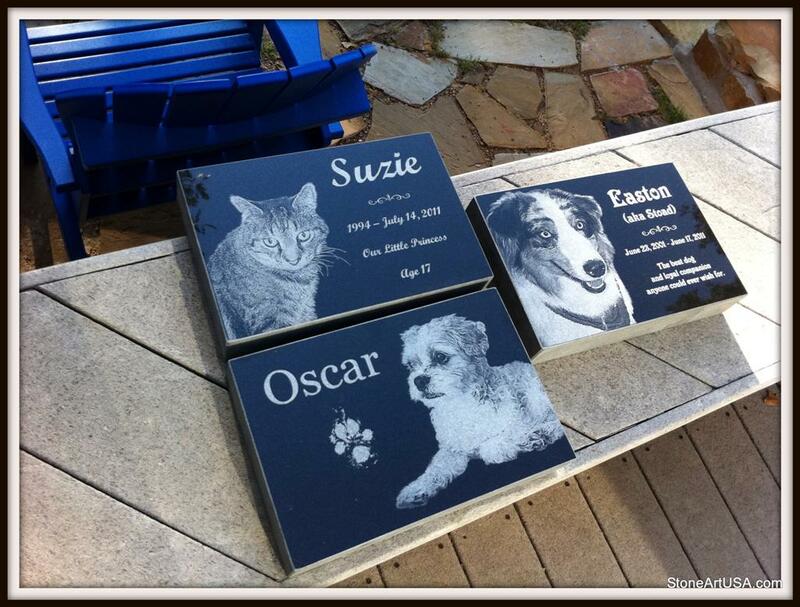 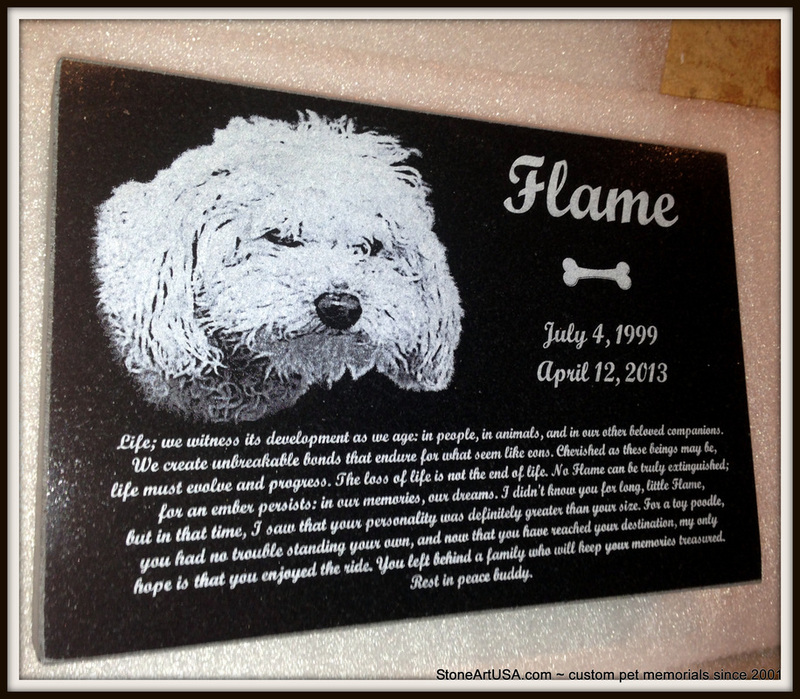 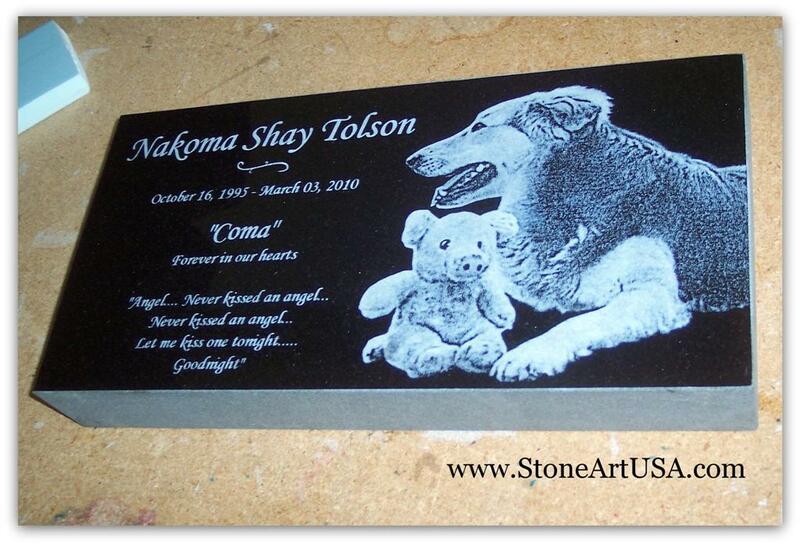 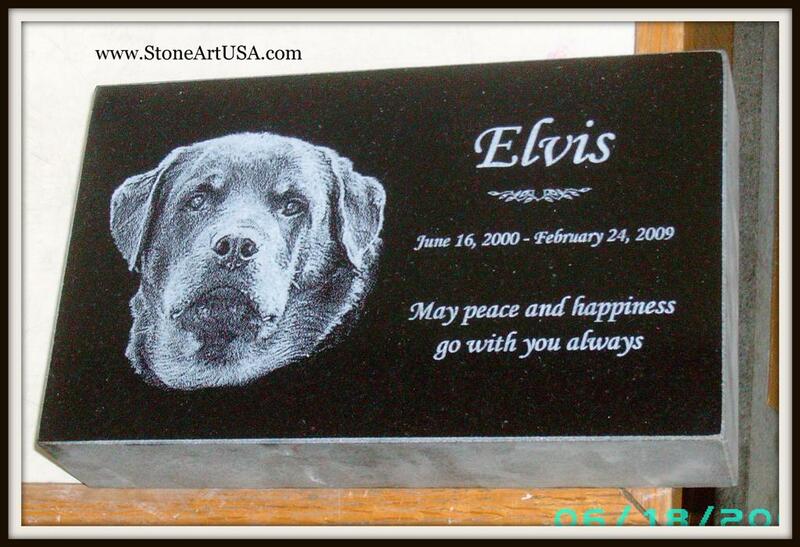 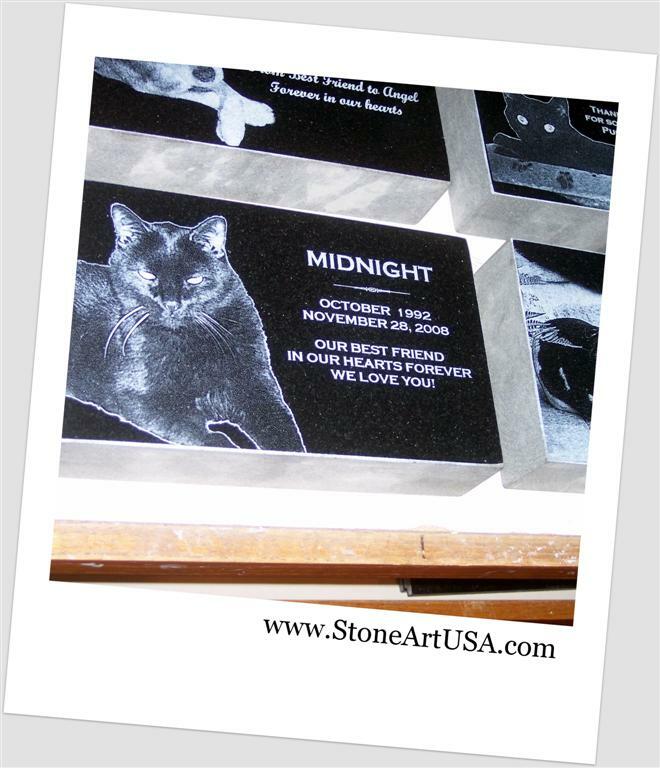 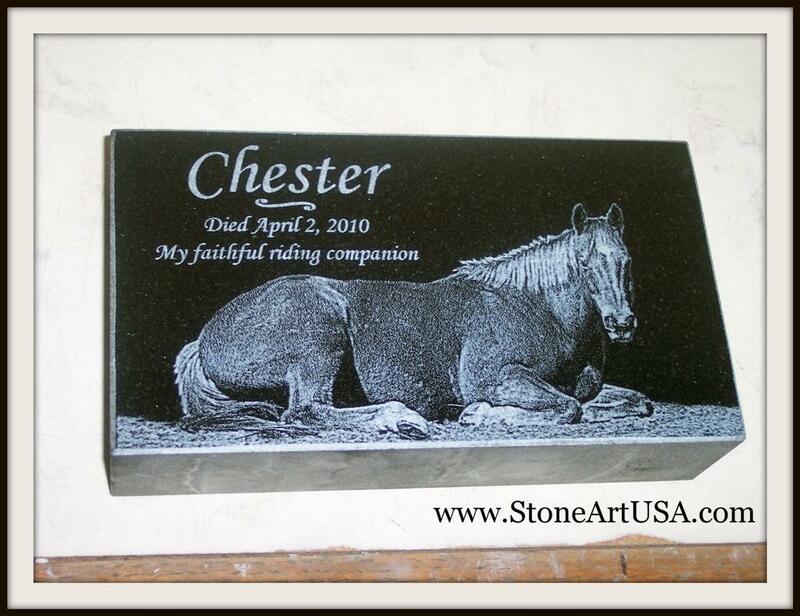 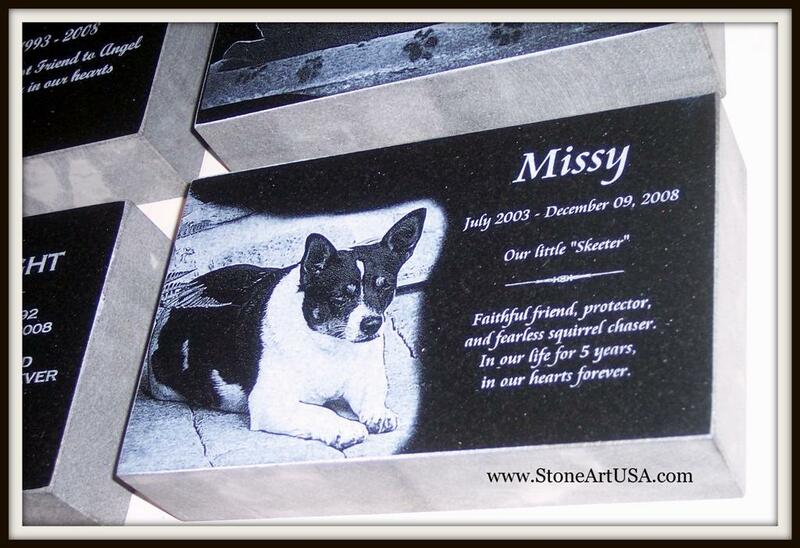 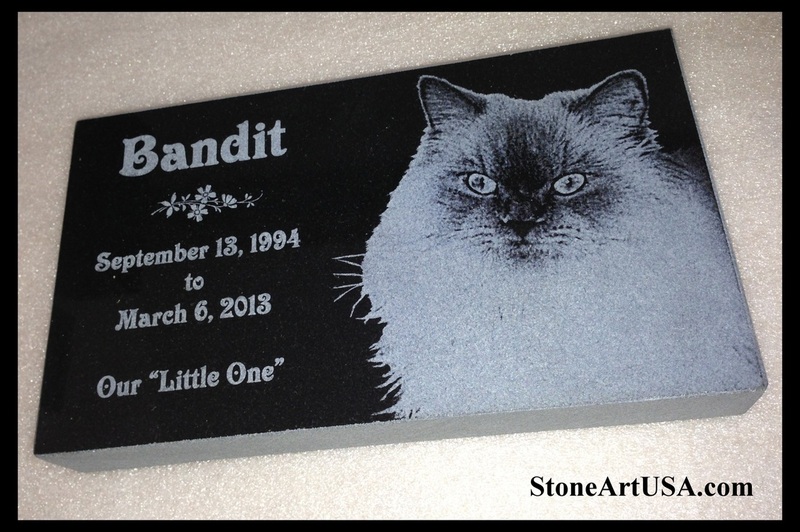 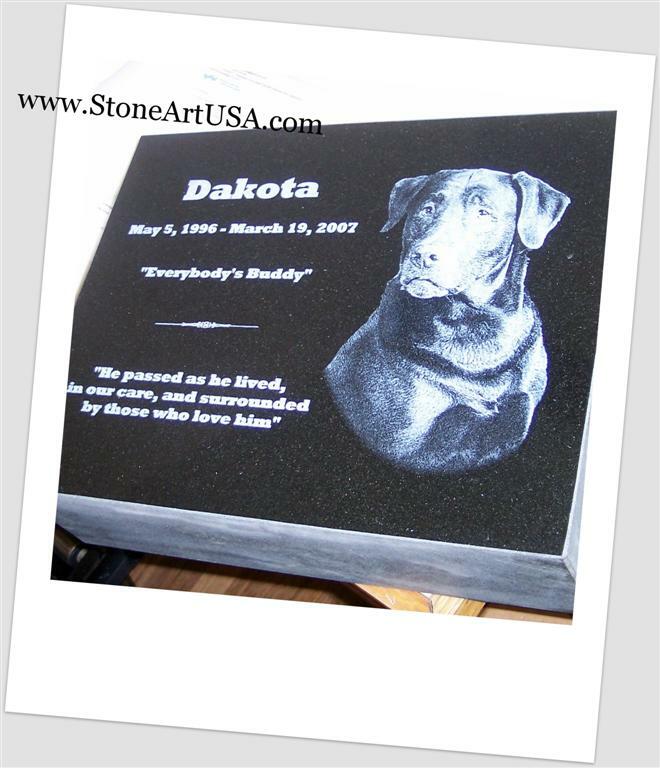 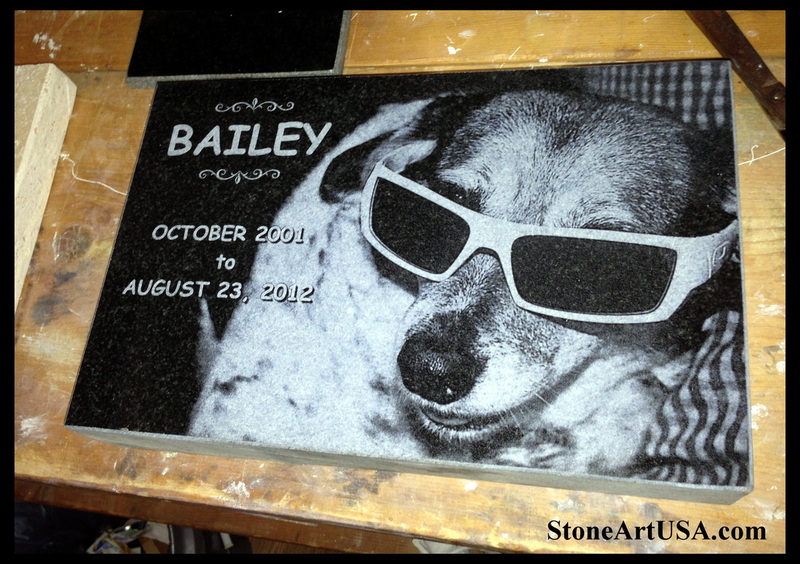 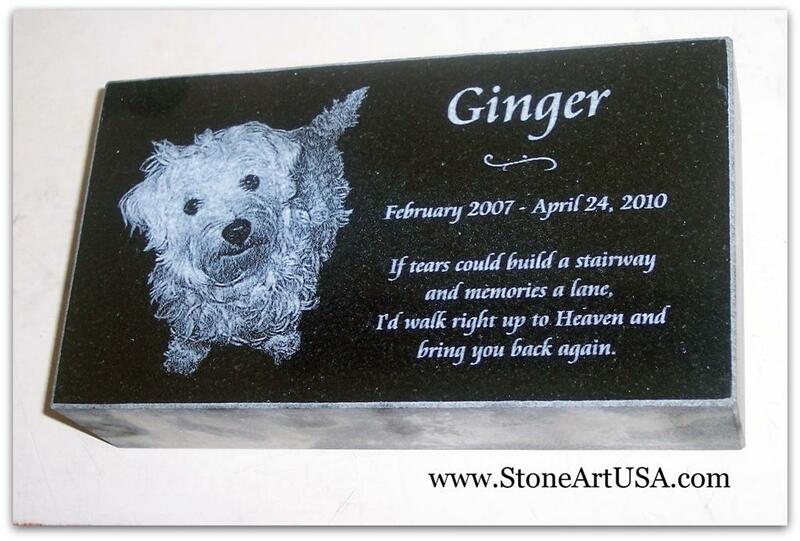 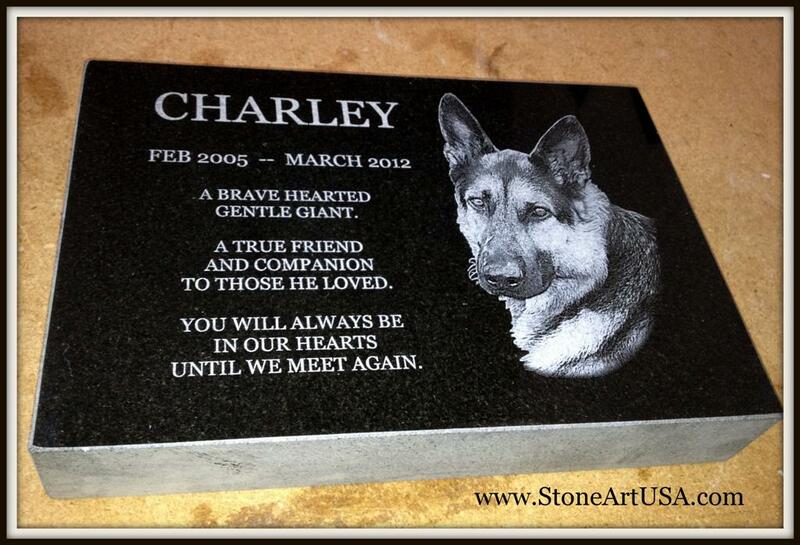 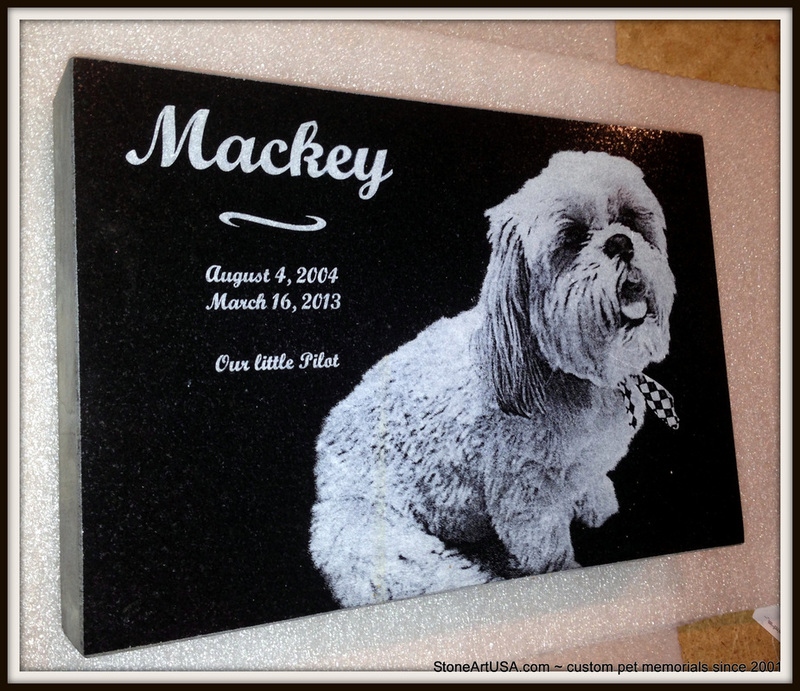 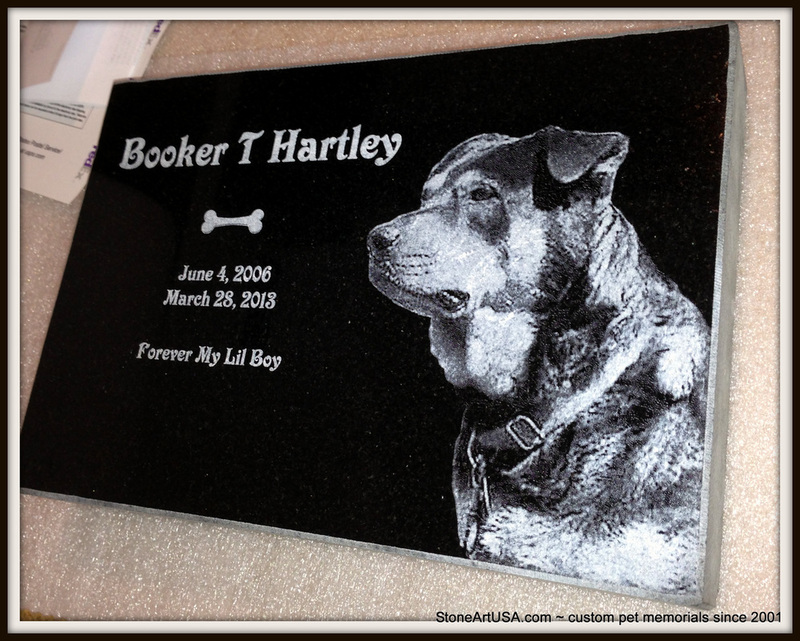 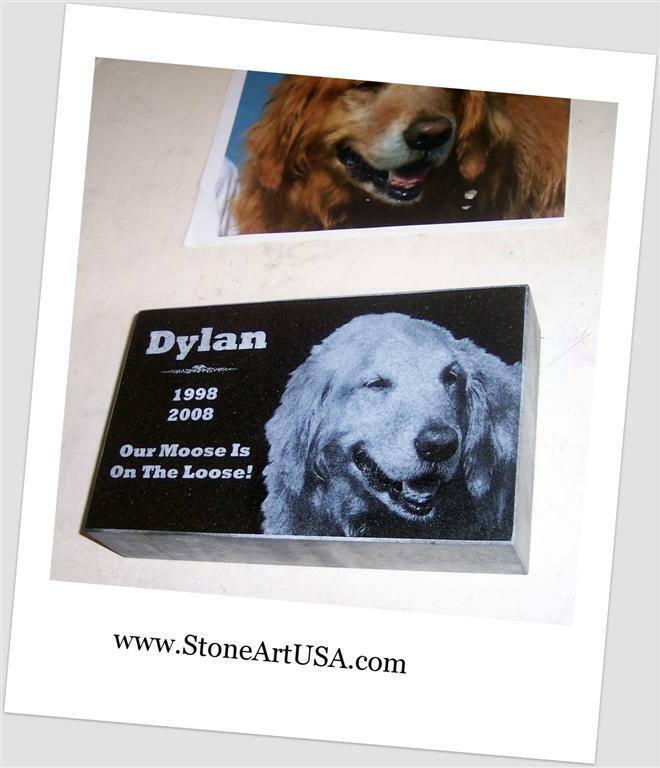 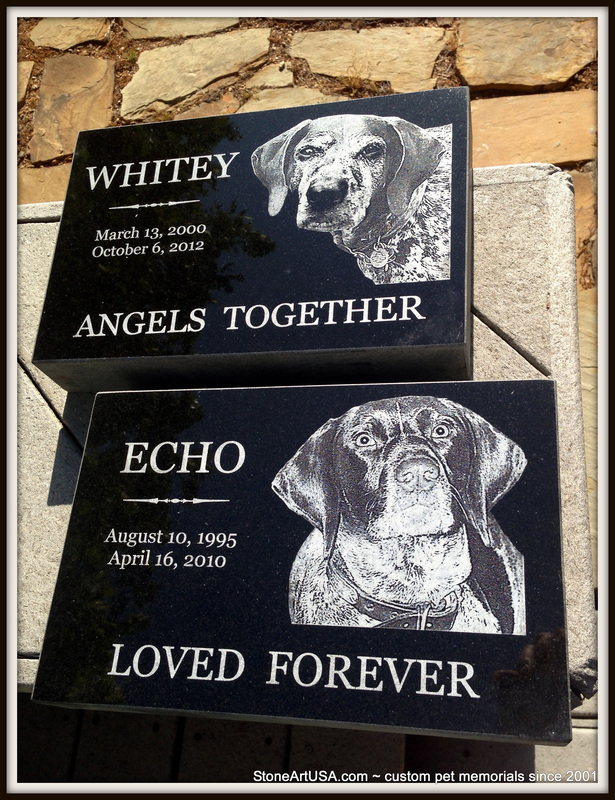 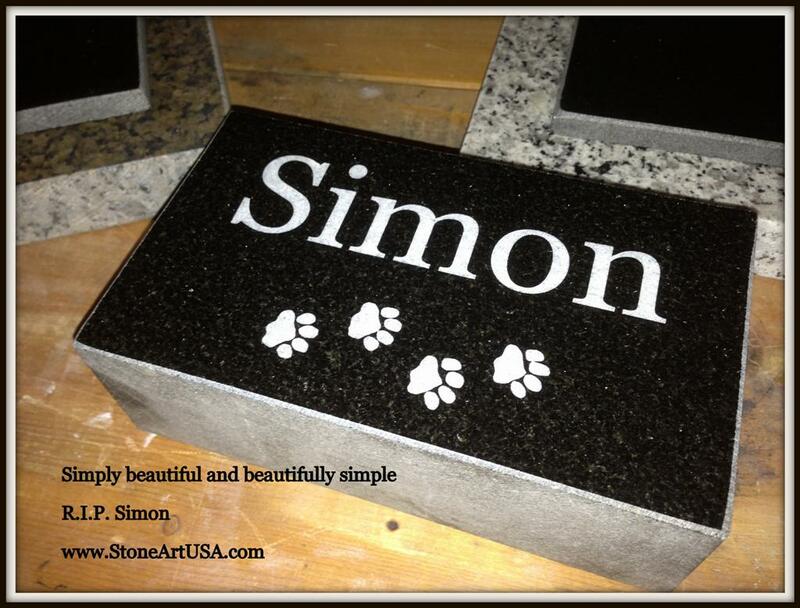 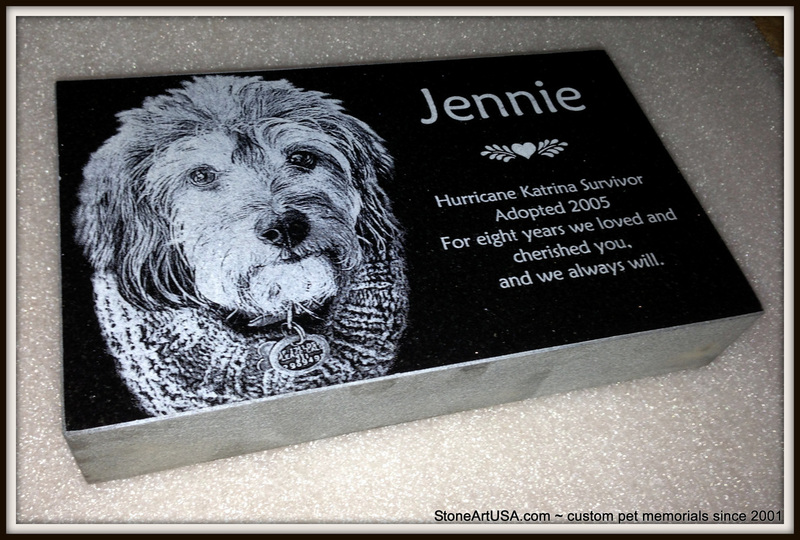 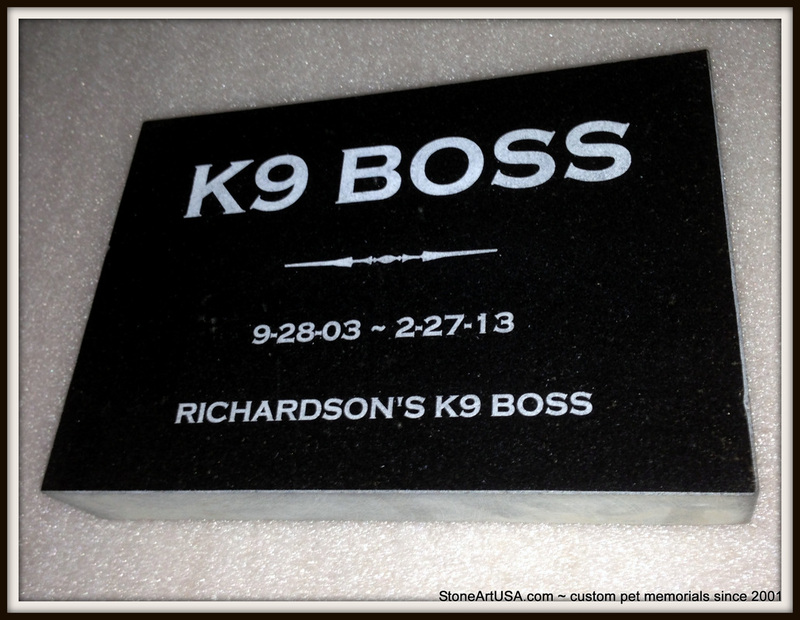 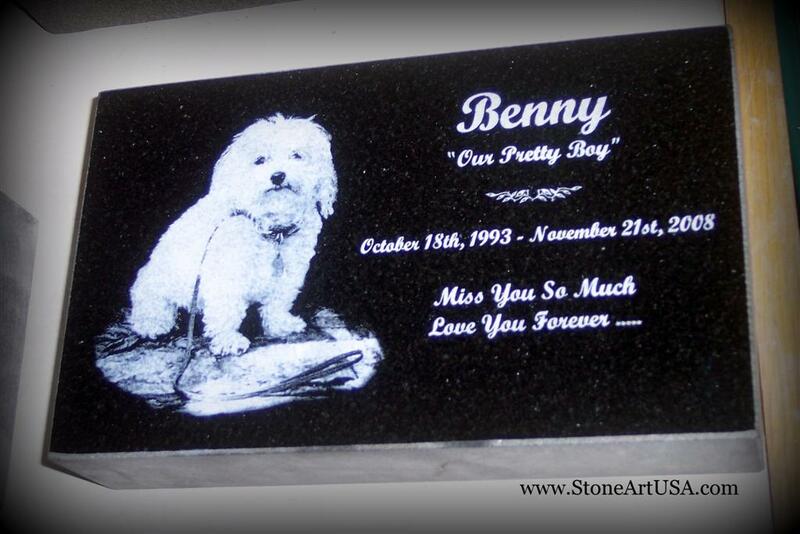 Custom made granite Garden Memorial Markers for pets and other loved ones. 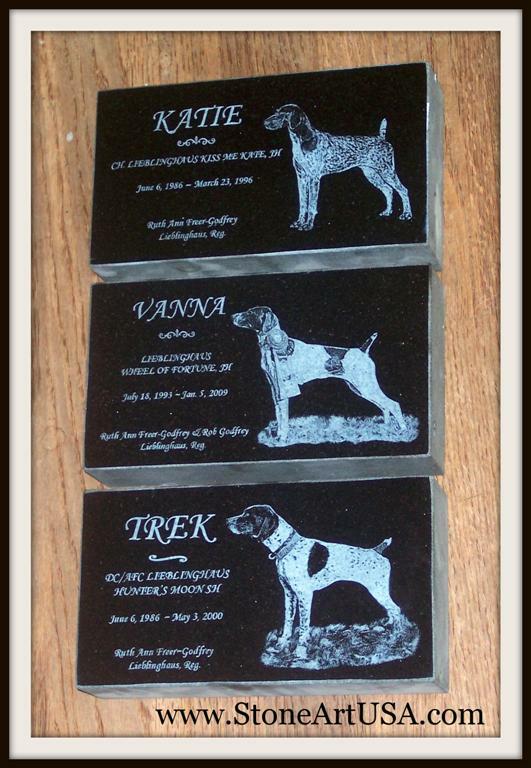 My flat pet markers are top quality, solid jet black granite with your pet's photo and your text permanently laser etched into the granite. 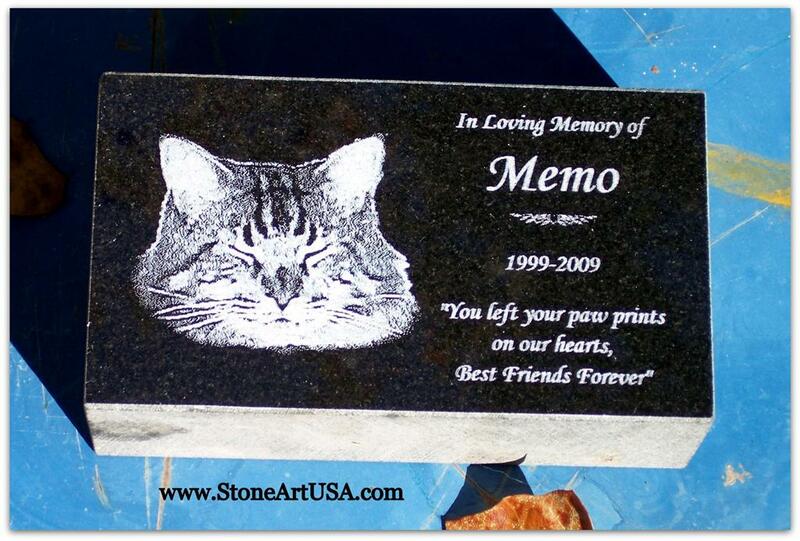 This time-honored classic is ideal for the pet cemetery or home garden. 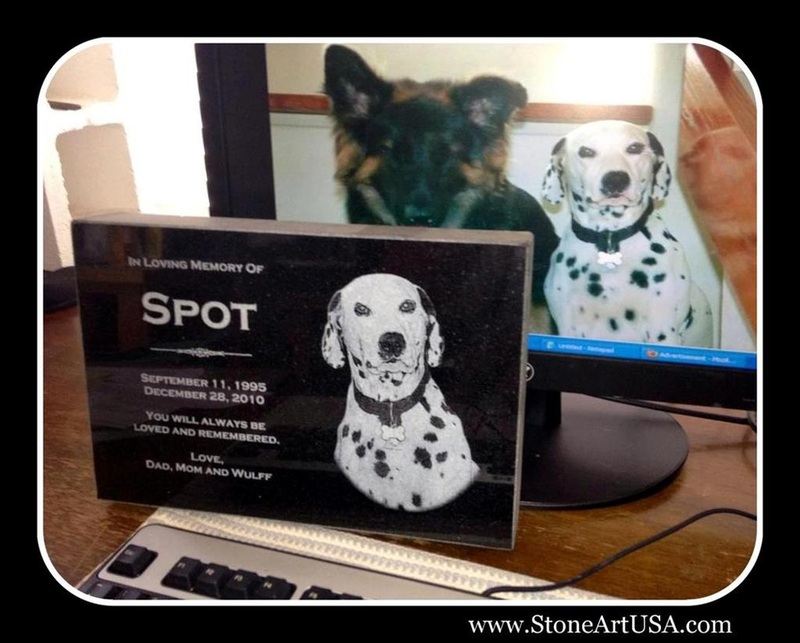 These dignified remembrances are perfect for year round outdoor display and will remain "day one" beautiful through all weather conditions... but they are so beautiful you just may end up displaying it on your mantle! 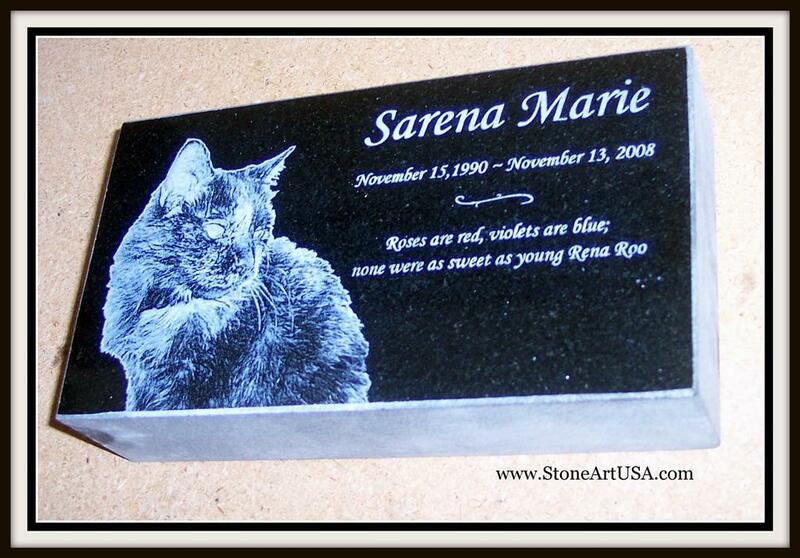 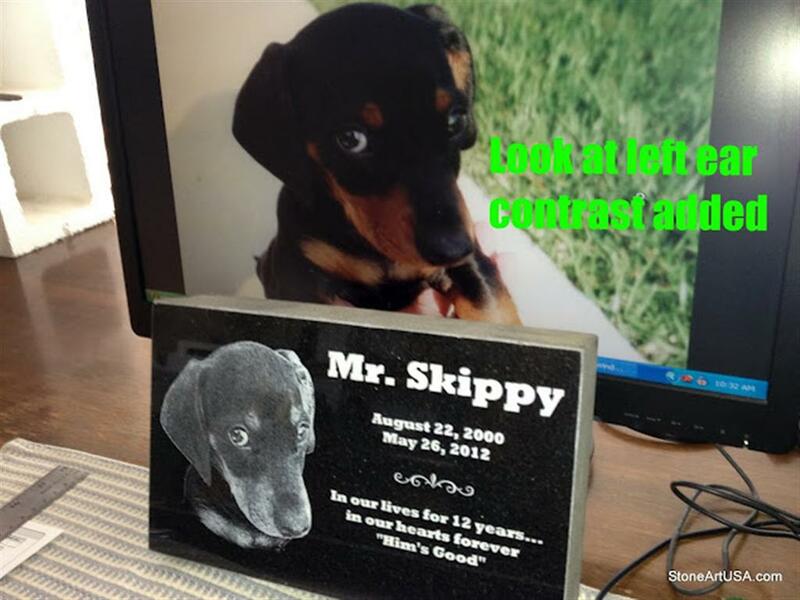 An elegant & timeless way to memorialize your pet for generations to come. 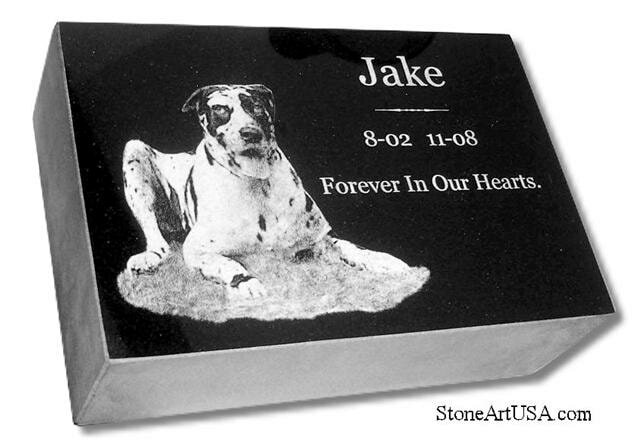 The top surface is highly polished and all other sides are sawed smooth. 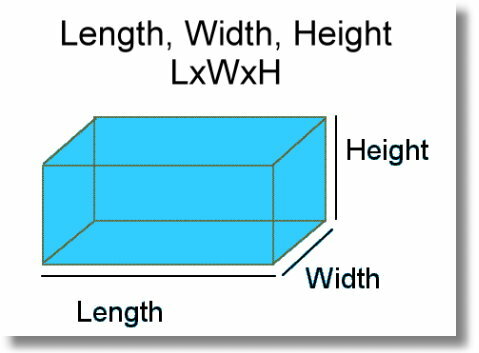 ​* 12" x 8" x 4"